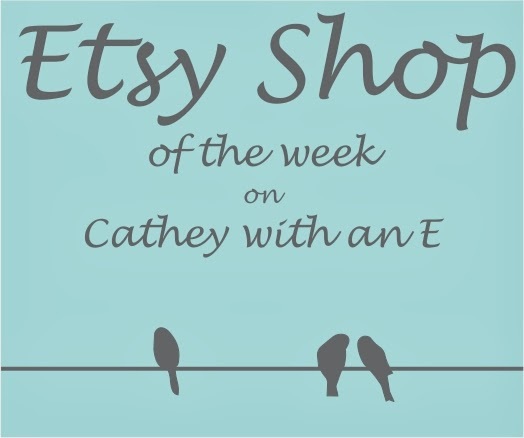 Welcome to the second edition of the Etsy Shop of the Week! 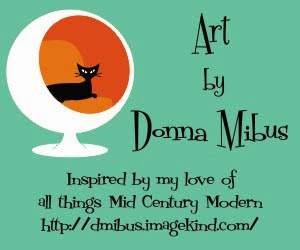 Each week I choose a wonderful Etsy shop to share with you all. 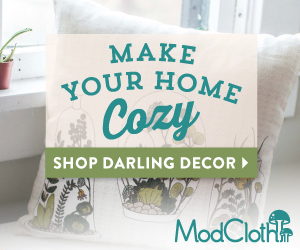 We can all have fun finding new products for our homes and lives, not to mention some wonderful gift ideas for our loved ones (or ourselves!). Today we get to meet Brett of the gorgeous jewelry shop The Shed Studios. 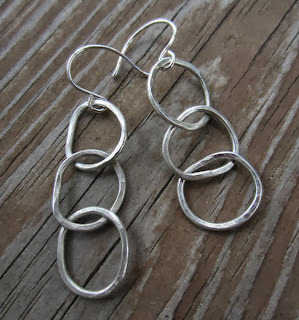 She sells beautiful hand-crafted necklaces, earrings, bracelets, and rings from difference metals and stones. Brett combines hammered silver, copper, and other materials to create wonderful and unique pieces. I'm having a hard time choosing a favorite - everything is gorgeous! Tell us the story of your jewelry and Etsy shop. I've always had a natural desire to create. I signed up for my first metalsmithing class on a whim. After about the first half hour of my first class, I was hooked! I’d found a craft that involves chemistry, math, and physics to create works of art from sheets of metal. Metalsmithing has been a great excuse to invest in new tools, and I love that I get to saw through thick metals, hammer things, and set my work on fire to create something beautiful. Through my craft I aspire to create jewelry that will become go-to favorites in a woman’s wardrobe for years to come. I want to offer pieces that become a comfortable staple that blend’s with its wearers unique personality. Each piece is carefully crafted by hand with love, care, and great attention to detail. My work lately has a bit of a rustic flare. I grew up on a working farm, and my jewelry is influenced by a rustic aesthetic. I never know where I’ll find inspiration. 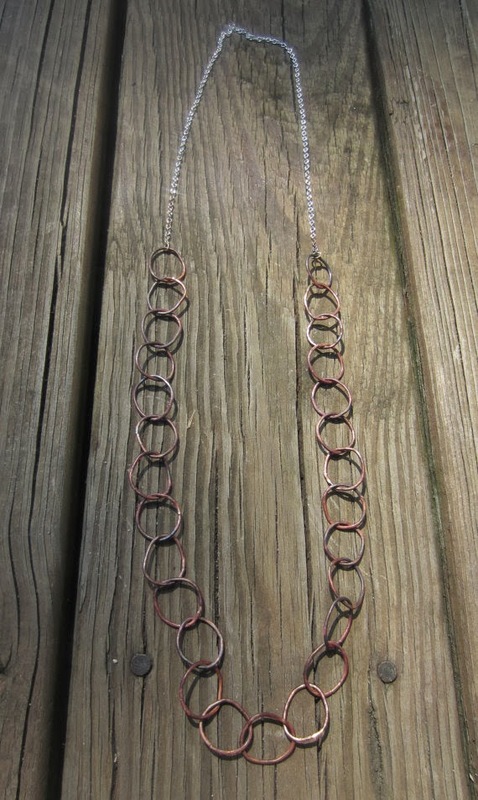 This piece [below], for example, was influenced by a barbed wire fence (don’t worry – it's smooth and comfortable to wear)! I adore this bracelet. It's simple, rustic, and so beautiful! My shop is named TheShedStudios, a literal description of my studio which is housed in a little shed in our backyard. Upon coming home from a work-related trip in southern Africa, I was thrilled to find that my husband and young daughter had worked while I was away to convert a storage shed into a studio for my craft. They may have finally gotten tired of my hammering things in the house, but I prefer to think of it as a demonstration of love and support for my business! I needed a good excuse to spend time in my studio and create new jewelry, and am so excited to have opened The Shed Studios on Etsy! Right now I’m working on some new bracelet designs. 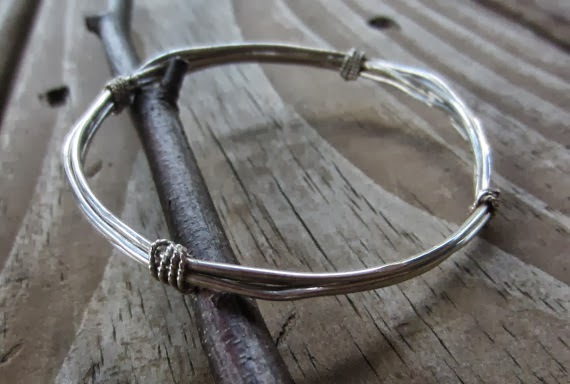 I recently acquired some new tools that allow me to create bracelets, and I’m loving experimenting with some new designs. As fall sets in and the air is getting cooler and crisper, I’m also enjoying working more with copper. 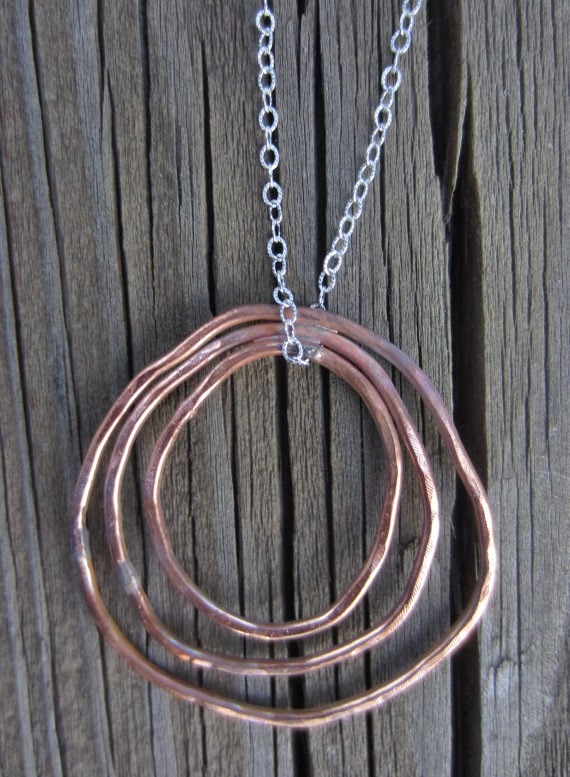 There is something special about the properties of copper that somehow seems perfect for fall! 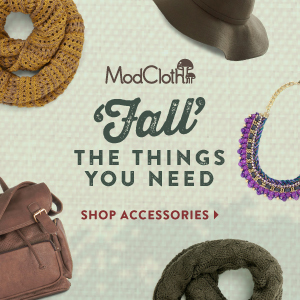 but I'd definitely be wearing this necklace year-round! What are some of your favorite items currently for sale in your shop? 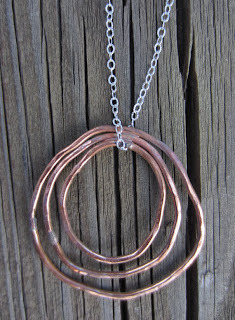 This tends to change, but today I’d say my long copper hoop necklace is among my favorites. would definitely become a wardrobe staple! 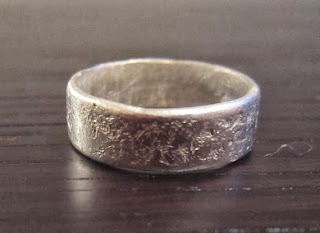 I also love this hammered silver ring. My husband and I wear versions of this ring as our wedding bands, and its one of the first pieces I created after discovering the art of metalsmithing. and her husband wear her handmade rings! A gorgeous pair of silver triple-hoop earrings. not-so-subtle hints to my friends and family about these! Any final things you want to share? My life has had lots of interesting and unpredictable twists and turns, and I’m excited about the path of TheShedStudios. 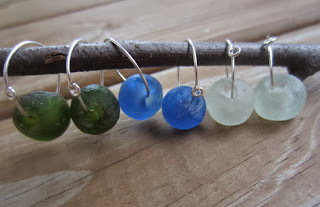 Brett even works with sea glass (multi-talented!). How gorgeous are these earrings? I love the colors. Thank you so much, Brett, for give us an inside look at your work! 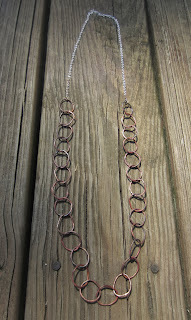 Be sure to check out The Shed Studios to pick up some gorgeous jewelry for yourself or a friend! If you have an Etsy shop and would like to be considered for an upcoming feature, feel free to send me an email!